Secret Nazi Base Arctic discovered by Russian scientists after being abandoned over 70 years ago when crew was poisoned by polar bear meat. The Independent reported. The base, located in the Arctic island of Alexandra Land, served as a “tactical weather station” for the Nazis during World War II, when knowledge of the weather was vital to determining when to move troops, equipment, and ships. Because of the base’s name — “Schatzgraber” or “Treasure Hunter” — some also think it was used for “the pursuit of ancient relics,” The Independent reported. The base is believed to have been built in 1942, the year after Adolf Hitler invaded Russia. However, the Nazis stationed there were forced to abandon the post in 1944 after they were poisoned by eating contaminated polar bear meat. A German U-boat rescued the base’s ill inhabitants, but left many supplies behind. 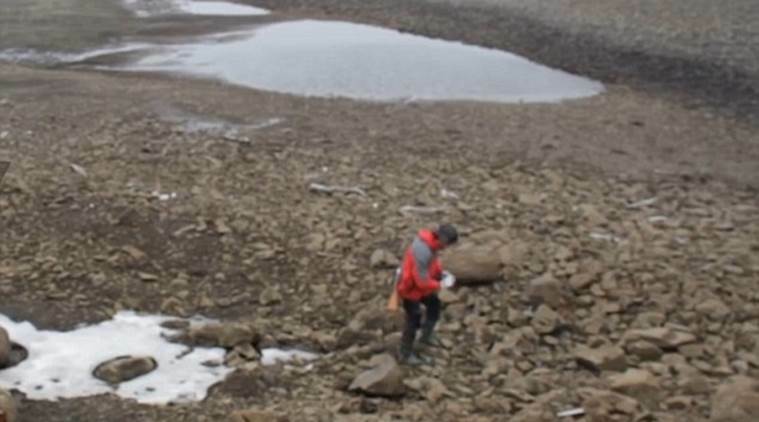 Scientists have discovered bullets, shells, gas cans, and documents, all of which have been preserved well by the Arctic’s frigid temperatures.